A full line of high quality and heavy duty Vended Drying Tumblers. 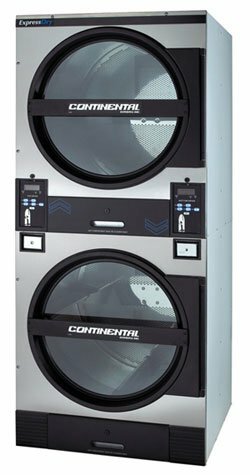 To complement Continental’s line of washer-extractors, Advantage Equipment offers a full line of Continental coin- and card-operated drying tumblers. Every Continental drying tumbler is backed by an industry leading three-year limited factory warranty, offers unmatched durability, energy-efficiency and superior programmability. ExpressDry coin operated commercial dryers offer unrivaled speed and energy-efficiency to deliver greater profits. They curb gas consumption, eliminate downtime and are easy to use. These drying tumblers bring the ultimate in durability and performance to coin laundries. ExpressDry Tumblers are designed to maximize a coin laundry’s bottom line with features offering flexibility, programmability, performance and energy efficiency. These tumblers feature advance microprocessors that give coin laundry owners superior control. The control allows for programmable time, temperature, cool-down, select time-of-day pricing specials, customer bonus cycles and more. Equipped with an oversized door, dryer window and cylinder light, E-Series Drying Tumblers are not only easy to use, they are incredibly efficient! The robust 7.0 cu. ft. cylinder and 1/3 HP motor are a perfect match in capacity and power to the 20-pound E-Series Washer. E-Series Dryers boast efficient axial airflow that maximizes water removal – saving customers time and saving laundry owners significantly on utility costs. 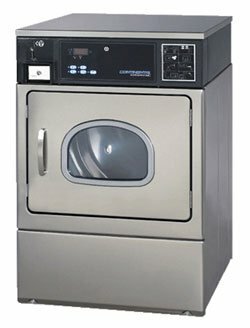 E-Series Dryers share the same dimensions and utility connections as most home-style dryers, and as a result, are an easy replacement for these less efficient models. A perfect match to Econ-O-Wash topload washers, Econ-O-Dry dryers are not only easy to use, they dry laundry incredibly fast! 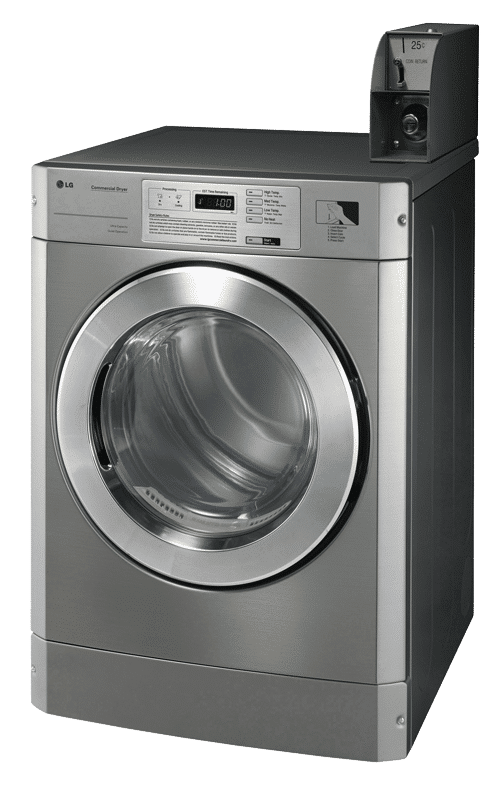 The robust cylinder capacity takes on larger loads of laundry and provides improved tumble action through axial airflow technology. The dryer control offers fabric selection options. Singleload and stacked doubleload capacities are available in gas or electric heat – making them the right choice for any vended application. The simple, yet intuitive programming on the LG Commercial Dryer offers a variety of functions for store owners to manage. Pair store savings with the ease of use for customers, and you have a winning combination for any vended laundry store!